Upon our arrival in Lao Cai railway station in the early morning, we drive to Sapa town, which is 35 km away by car. 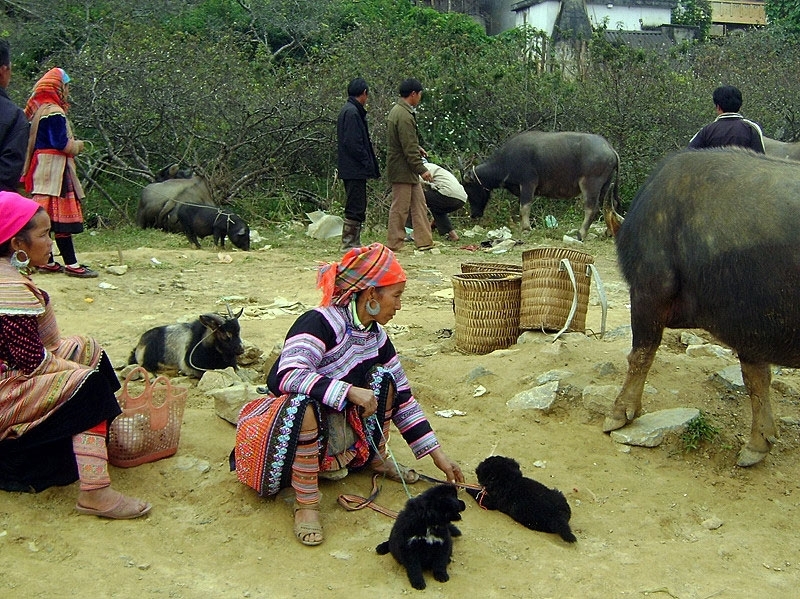 We set off to discover Sapa and its nearby villages of Sa Seng and Hau Thao, which are home to Black H’mong people. We have ample opportunities to see how they live and give wonderful insights into their way of life. Finally, we arrive in the village of Giang Ta Chai. Tonight we appreciate the warm hospitality over a dinner and an overnight stay in a traditional stilt-house. (Breakfast, lunch and dinner are included). The day begins with a beautiful hike through lush rice terraces and along verdant hills, before we return to Sapa. Here, we have the chance to appreciate the laidback pace of the township, visit a local market and learn about the local cuisine. Afternoon finds us in the villages of Sin Chai and O Qui Ho. 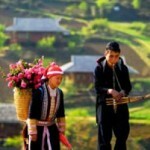 The Sin Chai and O Qui Ho are situated in a region of sculpted rice terraces and home to Black H’mong people. 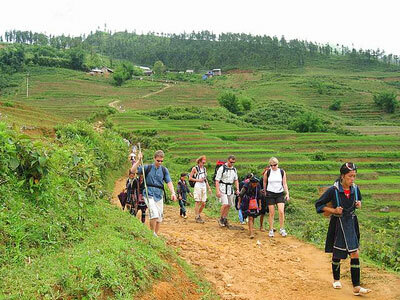 We hike around peaceful villages and farmlands at an easy and leisurely pace to suit everybody. We stay overnight in a hotel in Sapa. (Breakfast, lunch and dinner are included). We depart from Sapa and drive to Bac Ha. Bac Ha is well-known for its Sunday market, here the Flower H’mong, Zay, Tay and Dao ethnic minorities converge at the market early in the morning to trade their own traditional things. This is followed by a scenic hike around some idyllic villages and watch village life, before we drive to Lao Cai railway station for a sleeper train bback to Hanoi, arriving there at 5am the following day. (Breakfast, lunch and dinner are included).